The OSR Library: The Witch Class (S&W / OSR) The Traditional Evil Witch archetype. Hit Die Type: 1d6 per level, gains 1 HP per level after 9th. The Witch may cast the same number of spells per day as the Cleric in the base rulebook. The Witch may cast both Cleric and Magic User spells. If a spell is listed in both the Cleric and MU lists the Witch uses the Clerical version. Casting is modified as in the setting rules for Averoigne and OSR Colonial with no pre-memorized spells and the addition of rituals. 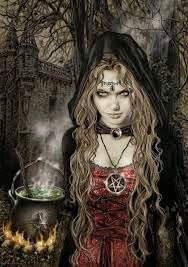 A Witch may work any spell known into a potion, salve, or charm. Potions must be drunk, salves applied to skin, and charms hidden on or in the house of the target of the spell. Spells which compel the target to obey the caster, such as Charm, take effect as if the caster is the one who gave the item to the one who drank or used it. Creation time is the same as for rituals and costs the daily spell slot of the spell used. The Witch can only make a number of items equal to her level, and each has a shelf life equal to the Witch's level in days. 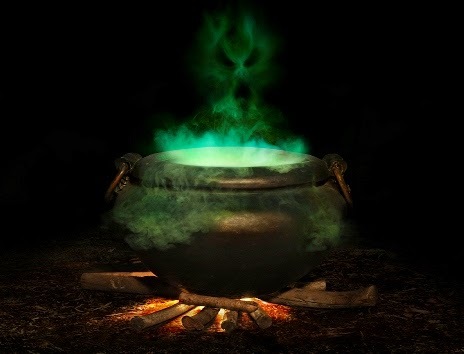 Given an hour of brew time, and the proper ingredients herbs such as human or animal parts, the Witch can create virulent poisons. The poison can be ingested, contact, or injected as the Witch desires. At first level the Witch's poison does 1d6 hp damage and an extra 1d6 at levels 3, 9, 12, 15, and 18. The poison is insidious and slow; starting one hour after exposure it does 1d6 damage per hour until the available d6's of poison are used or the vicitm is dead. A Saving Throw is allowed during the initial 1d6 hp loss and if successful, all damage done is for half damage as the poison runs its course. The Witch can also make an antidote for the poison. When given it stops all damage. Both poison and antidote have a shelf life of a number of days equal to the Witch's level. 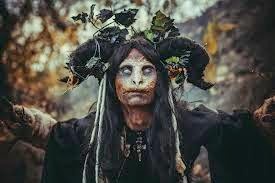 The Witch has the option of practicing Infernal Witchcraft. I like it. I think she should also be able to use most, but not all, magic user magical items.